We’d love your help. Let us know what’s wrong with this preview of Leadership Skills for Managers by Marlene Caroselli. 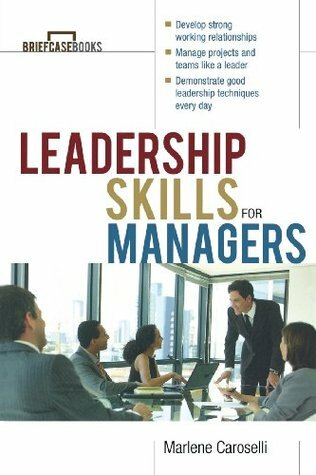 To ask other readers questions about Leadership Skills for Managers, please sign up. Pretty good read. Nothing stunning or earth shattering but a good reminder of things that someone who desires to improve their management methods should know. MARLENE CAROSELLI is the author of Leadership Skills for Managers, The Big Book of Meeting Games, and Great Session Openers, Closers, and Energizers. She has trained employees and executives at many organizations, including Lockheed-Martin, Mobil, Eastman Kodak, and Allied-Signal.